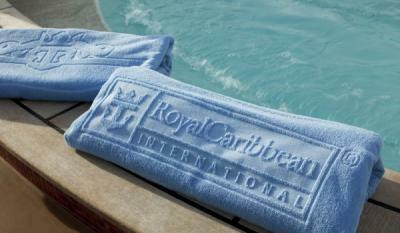 Starting today, January 1, 2014, Royal Caribbean has eliminated the $25 (per towel) fee for unreturned towels. Previously, you could rent towels from the pool deck but would be charged $25 per towel if you did not return it before the end of your cruise. The change is being cited as a result of guests feedback and Royal Caribbean wanting to offer guests "greater convenience and help them enjoy their Royal Caribbean vacation even more." Here is the full statement by Royal Caribbean as to why they decided to get rid of the penalty fee. "We think this policy adjustment will offer guests greater convenience and help them enjoy their Royal Caribbean vacation even more. We’re constantly evaluating our policies and implementing feedback. This is just one of many ongoing changes and improvements we’ve made to ensure Royal Caribbean International is giving guests the Royal Advantage - the most innovative cruise ships, exciting itineraries to popular destinations, and world-renowned friendly and engaging Gold Anchor Service. "